Do I need to wear a special shoe for my broken toe? A broken toe can be very painful. Depending on where the toe is broken, which toe is broken, if it is in a good position, and how stable the bones appear are all factors as to whether a surgical shoe must be worn. This special shoe, if necessary, will allow you to bear weight in the foot while providing a stable sole which prevents excessive motion. There are times, however, where you can continue to wear your regular shoes. If this is the case, a low heeled or tennis shoe is preferred. If the great toe is broken, your Houston Podiatrist may treat it differently. Because of the amount of pressure that the great toe must bear, it may be necessary to wear a surgical shoe, or even a fracture walking boot, to ensure it heals properly. The key to properly treating a broken toe is to get it evaluated as soon as possible. What doctor treats a broken foot? The best doctor to treat a broken foot is one who treats all areas of foot and ankle problems. A podiatrist in Houston, TX best fits this description. A podiatrist will not only assess the severity of the foot fracture, but also decide how to treat it to make sure it properly heals. Nothing is worse than being told it isn't a big idea, only to find out it can extend your recover by weeks! 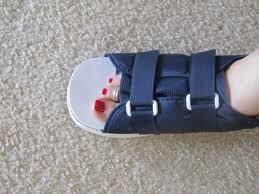 There are other doctors who are also qualified to treat foot fractures. Orthopedists are bone doctors and surgeons that will treat fractures also. There are some orthopedists who specialize in the foot and ankle. I do not recommend most emergency rooms, as I have found many foot fractures missed on x-ray. 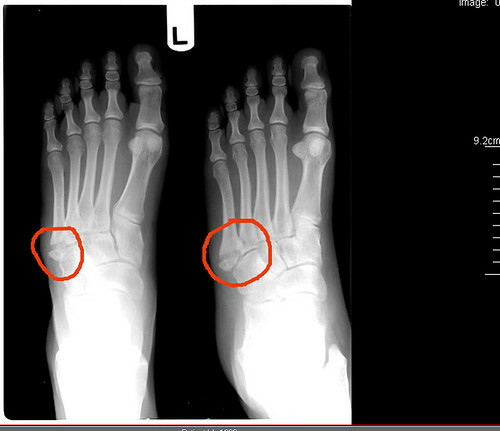 At Tanglewood Foot Specialists, we take the x-rays in the office and read them immediately, so you do not have to wait for the results. Dr. Schneider will spend the time with you to make sure you understand the severity of the broken bone and what will need to be done to allow it to heal quickly and completely. Call our Houston podiatry office to schedule an immediate appointment. Most people who read this also asked Can a Twisted Ankle Break a Bone in My Foot?